ON GUARD Florida’s sentinel chicken programs may include Leghorn (shown), Barred Rock or Rhode Island Red breeds. For 40 years, they’ve held the front line in Florida’s fight against mosquito-borne diseases. And it turns out that the chickens standing sentinel in cities, marshes, woodlands and residential backyards are clucking good at their job. Last year, chickens in 268 coops in over a third of Florida’s counties provided scientists weekly blood samples that revealed whether the birds had been bitten by mosquitoes carrying West Nile virus or the Eastern equine encephalitis or St. Louis encephalitis viruses. In 2018, 833 chickens tested positive for West Nile virus antibodies in Florida, but only 39 people did, according to data from the state’s health department. 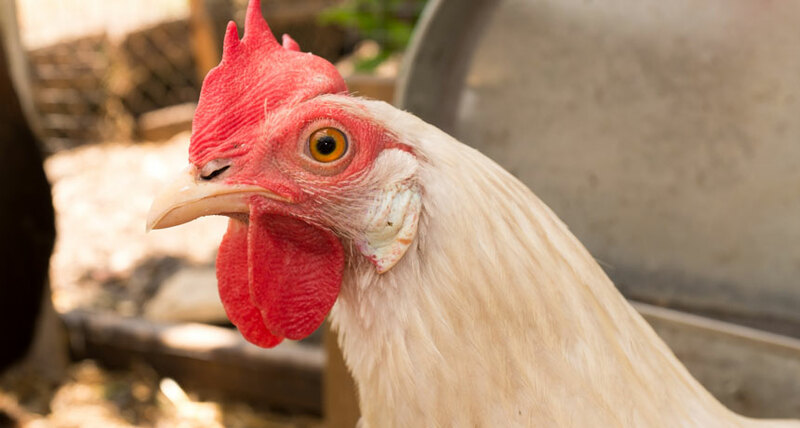 For Eastern equine encephalitis virus, 154 chickens tested positive in 2018, compared with only three people. Chickens that test positive for the viruses being surveyed don’t transmit them, and people don’t either. Both are considered “dead-end hosts,” meaning that the viral concentration in the blood doesn’t get high enough to infect another mosquito after it bites. Infected cardinals, robins and other backyard birds are the animal reservoirs that help keep the three viruses spreading in the area. Sentinel chickens, by detecting where and when disease-carrying mosquitoes are buzzing, are also providing valuable data on how a virus can spread. Data from 2005 to 2016 revealed that Eastern equine encephalitis virus is active year-round in the Florida panhandle, making the area a source from which the virus moves elsewhere in the state and along the eastern United States, Unnasch and his colleagues report online March 11 in the American Journal of Tropical Medicine and Hygiene. In people, the viral diseases monitored by the chickens are relatively rare, but can be deadly. The chickens don’t get especially sick, though. “You don’t usually see any symptoms at all,” Unnasch says. Any chicken whose blood tests positive for the antibodies is removed from the coops since that bird can no longer alert authorities to a new infection. For these chickens, retirement may be spent on a farm, with school or 4-H clubs, or in a backyard coop, depending on the county. The sentinel chicken programs are ready with replacements, raising chicks to supply new birds to signal “where we have a threat to human health,” Unnasch says.